When it comes to cute and cuddly creatures, there isn’t an animal in this world more popular than the koala. Easily associate with the nation of Australia by millions across the planet, the koala is an unofficial symbol of the nation and popular on many of its circulation and commemorative coins. 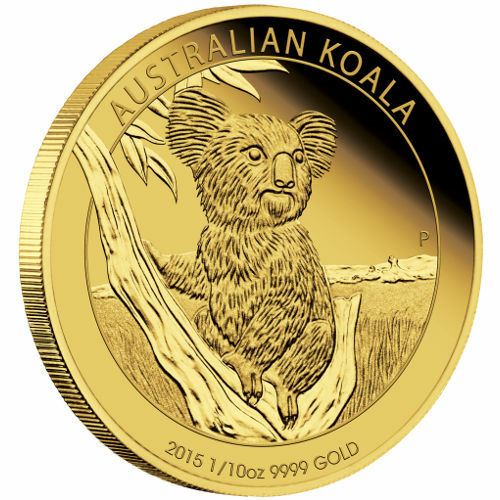 Right now you can purchase a new 2015 1/10 oz Proof Australian Koala Gold coin from Silver.com. 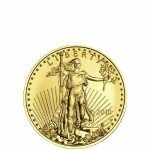 Exceptionally rare coin; only 1,500 struck in total! Consists of one-tenth ounce of .9999 pure gold. Issued a face value of $15 (AUD) backed by the Australian government. Considered legal tender in Australia. 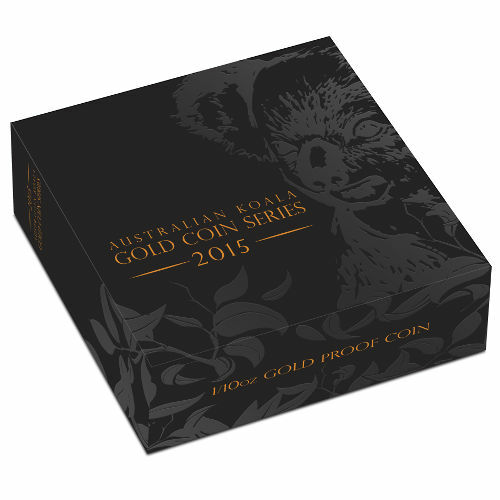 The Australian Koala coin series is one of the most popular from the Perth Mint. Each year, the Mint strikes coins bearing the continent’s beloved marsupial with a different design set. This year’s image features a lone koala as it rests in its perch on a tree. 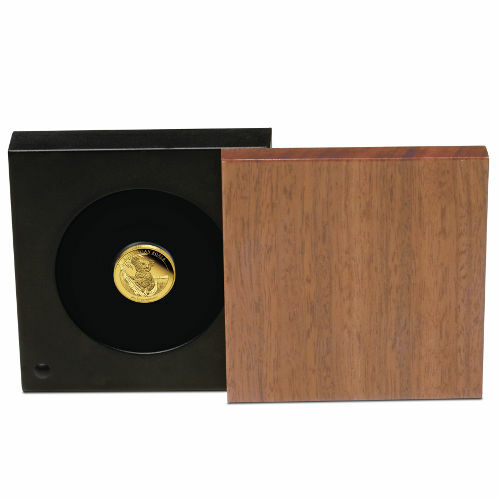 Due to the immense purity of these coins, the Perth Mint has set an extremely low, strict limit on mintage. 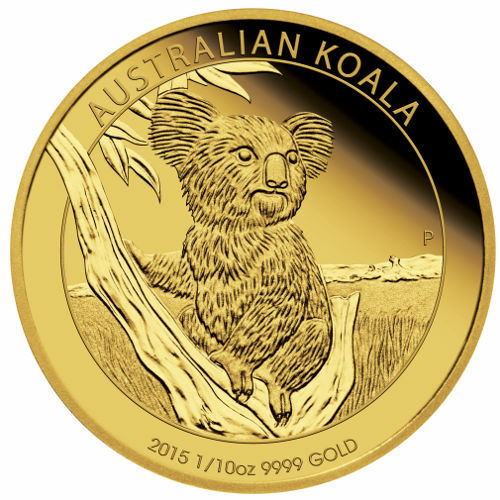 On the reverse side of the coin is the 2015 design, featuring a koala as it sits at the break in the trunk of a tree. The rolling hills and landscape of the Australian Outback are visible behind it, and the animal’s eyes are fixed on an object in the distance. Engravings on this side of the coin include “Australian Koala,” and the coin’s weight, metal content, and purity. The obverse side bears Ian Rank-Broadley’s right-profile portrait of Queen Elizabeth II. 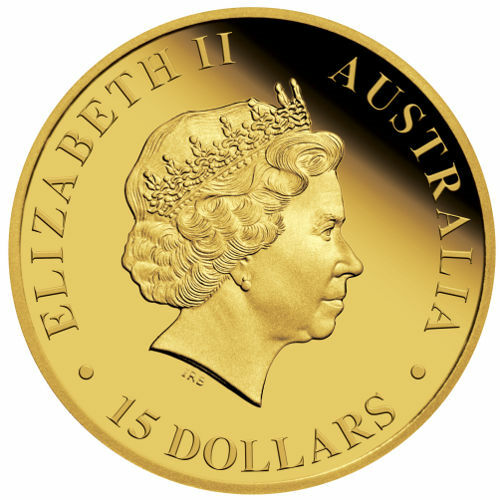 His depiction of the Queen is frequently used on coins struck both in the United Kingdom and its former colonies of Australia and New Zealand. Engravings on this side include the Queen’s name, “Australia,” the coin’s face value, and the initials “IRB” in honor of the designer. The Perth Mint was the third and final mint opened during British imperial rule in Australia. Following the closure of the Melbourne and Sydney locations, the Perth Mint was left as the oldest operating facility in the country. Though not affiliated with the national government, it is a state-owned entity of Western Australia. If you have questions about these proof coins, please feel free to call a Silver.com associate at 888-989-7223. We’re also available online through our live chat and email services. 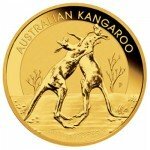 If you are looking for similar products, be sure to check out our selection of Australian Gold Kangaroos.